Jawahar Lal Nehru''s father Motilal Nehru was considered to be a famous lawyer of the country of that time. Jawaharlal Nehru owned everything one could wish for. Having gained his early education at home, he went to England for the higher studies. Nehru was the first prime minister of independent India. He was very fond of children. 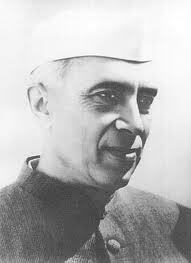 For the children of India, he was the beloved ''Chacha Nehru''. His name will shine forever in the Indian history. A birth chart (also known as kundli, janma kundali, or horoscope) is a map of heaven at the time of birth. Jawaharlal Nehru's birth chart will show you Jawaharlal Nehru's planetary positions, dasa, rasi chart, and zodiac sign etc. It will also allow you to open Jawaharlal Nehru's detailed horoscope in "AstroSage Cloud" for research and analysis.